I want to start off this blog by sharing a stunning interior account with you. 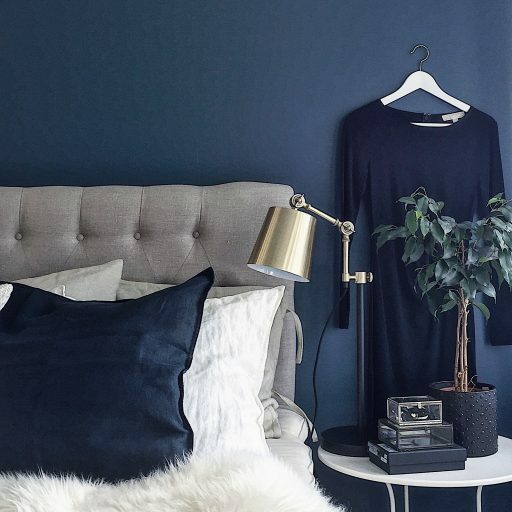 Christine has great & trendy interior taste and shares it with pictures of her own beautiful home along with inspirational photos. 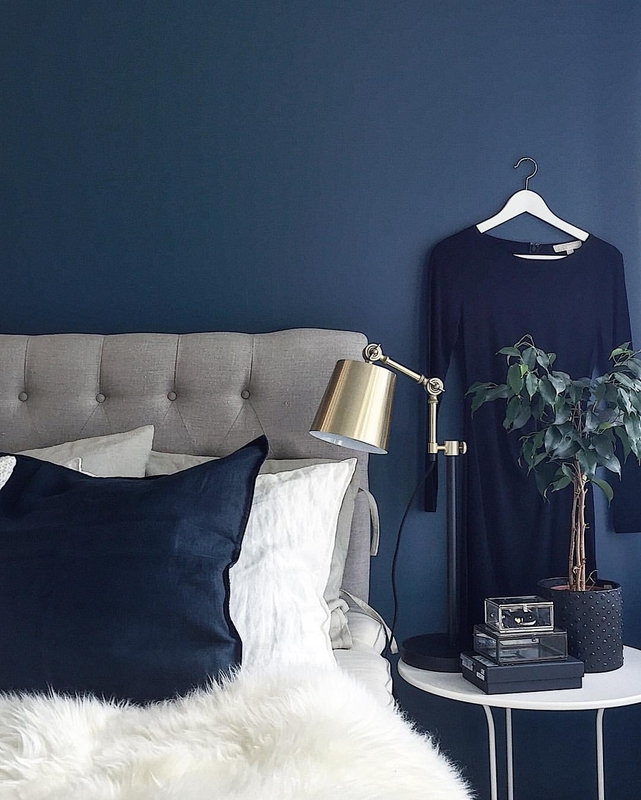 I love her deep blue wall along with the light furniture and the golden nightstand lamp ? And isn’t the hanger with the dress the perfect minimalistic detail? 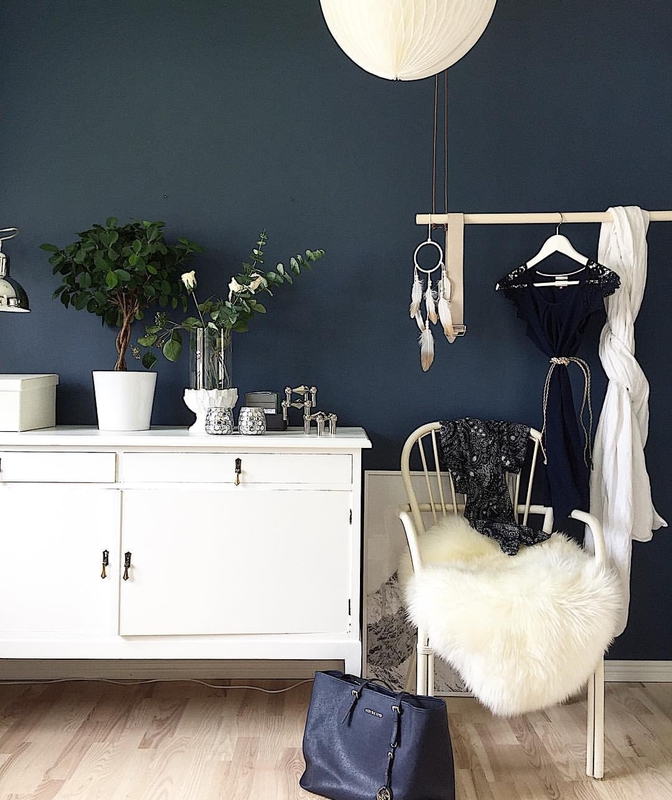 The dark wall adds a cool monochrome effect to the white furniture. Spot on!! And the natural wooden elements and plants are keeping it trendy ? 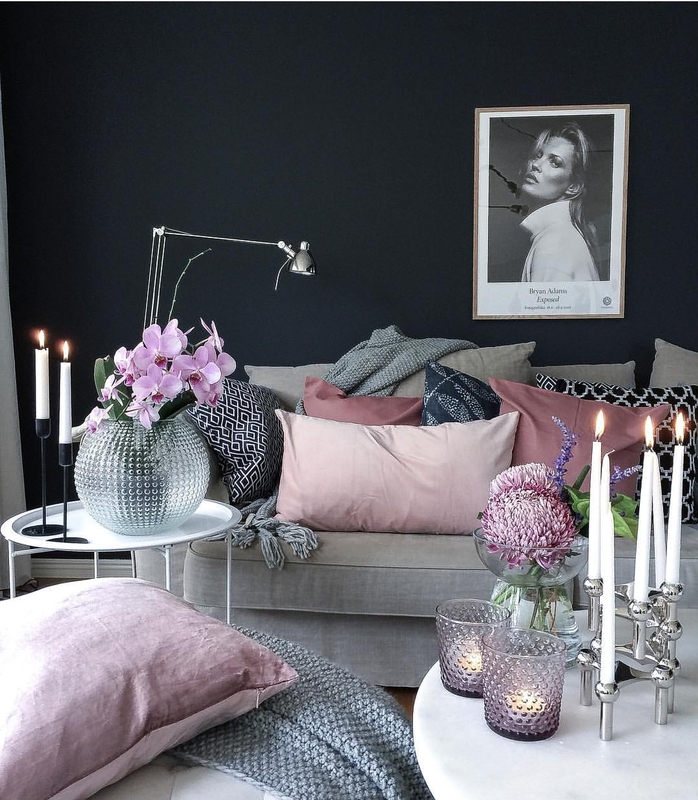 Pink hues are a great way to add colour to your home. As Christine does it with pillowcasings and flowers. I love her monochrome geometric patterns mixed with blush velvet?? How do you like her home? For more pics you can check her instagram here.